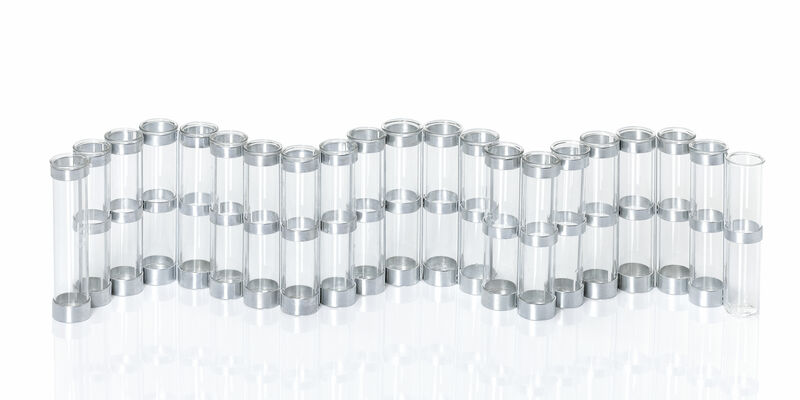 Characteristics : 21 glass tubes and one of replacement. 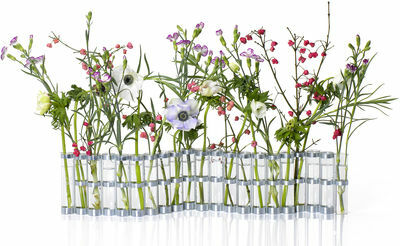 "Farandole of flowers, the April vase is constituted of twenty-one glass tubes and of twenty metallic similar pieces that assemble themselves. These can turn the a by report to the others, you can thus dispose his vase in accordion or in all the wished positions. You can equally, after to have removed a tube of the one of the extremities, compare these and close the vase some curls while restoring the link that lacks. The pieces can return to normalcy independent of one another: it suffices to pull the one of the tubes up to fragment the vase in two distinct segments. You can therefore to shorten it, but especially, if you possesses several, lengthen them. To transport it easily, it is necessary to muster the pieces against one another, then to catch it to two hands. The April vase is provided with a replacement tube. The zinc that protects the metallic pieces of the April vase already lightly is oxidized; and to the contact of water, it becomes completely checkmate, and decorates itself of a light white similar rust to a frost. "